The Sea To Sky Tour begins with a visit to the village of Horseshoe Bay, which is the entrance to Howe Sound in beautiful West Vancouver. 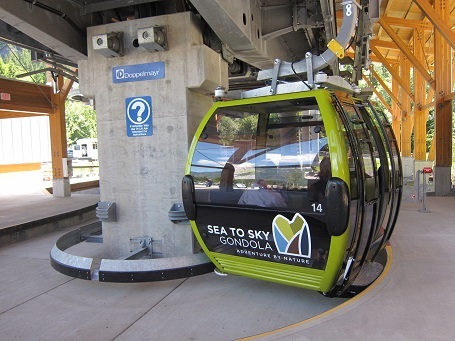 Next, driving along the scenic Sea To Sky highway, you come to the base of the Gondola in Squamish, a town noted for its emphasis on outdoor recreation. Riding up the mountain in the gondola, you experience amazing views of Howe Sound and the coastal mountain range. 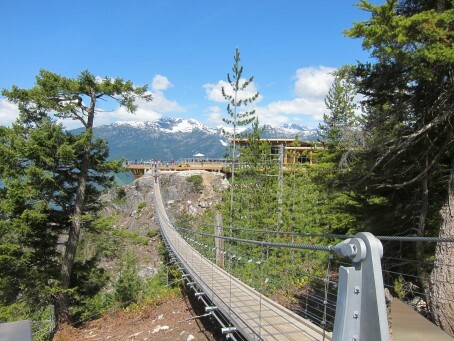 Up top, there is a cafeteria and a bar, and there are two gentle walking trails with accessible viewing decks. The engineering and architectural talents are impressive with this new attraction. Shannon Falls is next on your tour, which is located in a large provincial park. It’s the 3rd highest waterfall in BC. Our last stop is at the award winning Britannia Mine Museum. Once the largest copper and zinc mine in Canada, it is now a historic site beautifully preserved. A short narrated ride in a rail car into a mine shaft gives you some insight of life as a miner as your guide demonstrates various drilling techniques.